MEETINGS &amp; CALENDAR OF EVENTS. LEGION MEETINGS & CALENDAR OF EVENTS. Feb. 26, Board Meeting at 6:30pm. 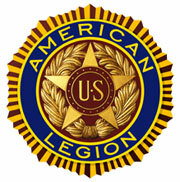 April 7th, Legion Family Sunday Breakfast 9:00 AM followed by the Legion, Auxiliary, and SAL Meetings for April. Dec. 11th, Legion Meeting, 7:30pm, This will be are Christmas meeting. Starting at 6:PM there will be some refreshments for everyone in the Legion Family.